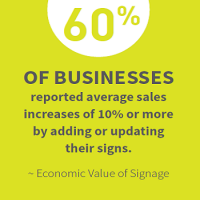 Meet our team of dedicated professionals leading the way for advancements in the sign industry. 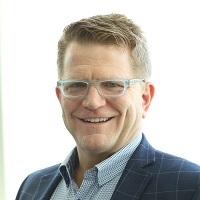 Ted Kiper is a founding principal with Cardosi Kiper Design Group, a communications design firm that develops and implements wayfinding signage, exhibit, donor recognition and marketing communication programs. Over the past 12 years, the firm has specialized in Healthcare, Educational, and Transportation wayfinding programs. The firm is currently working on programs for the University of Notre Dame, Northwestern Medicine and Rush University Medical Center. Prior to founding Cardosi Kiper Design Group, Mr. Kiper was project manager and design director with Naughton + Associates, developing marketing communications, wayﬁnding signage, and exhibit programs. In this role, Mr. Kiper had the opportunity to oversee the development of trailway wayfinding programs for non-proﬁt associations and municipalities, in addition to large scale wayﬁnding systems as project manager and lead design for the 40 gate, two million square foot Terminal D project at Dallas / Fort Worth Airport. Mr. Kiper graduated from The School of the Art Institute of Chicago, with a BFA in graphic design. He is a member of SEGD (Society for Experiential Graphic Design), and has received design awards from the annual SEGD Competition and Graphic Design:USA — American Graphic Design Award. 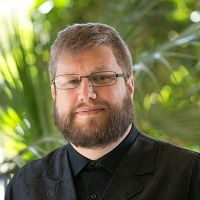 Deacon Wardlow is a Certified Global Business Professional (CGBP) with specializations and certifications in computing, network security, and systems analysis. He is currently a Special Ops Director of Spectacular Media – a dynamic digital signage cloudware control and content creation/management platform for LED signs and interior Digital Signage solutions. In close partnership and collaboration with Vantage LED – Deacon has worked to improve education and Digital Signage standards through blogging, white papers, speaking engagements, and working closely with various associations such as International Sign Association (ISA) – Sign Association Canada (SAC), Sign Research Foundation (SRF), and others in the USA, Canada, Mexico, and Europe. 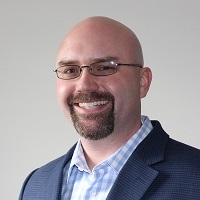 He’s been a Chief Technology and Information Officer for an international sign company, a field consultant for digital signage installations, engineering, and service nationally, and has over 18 years of private consultation focused on international trade, global branding, digital signage, and business change management as well as trade publication writing experience specializing in new/emergent technologies. Deacon is currently based in Colorado and can be seen at various trade shows and working with sign company partners in the USA and globally. Keith has a very diverse skill set that allows him to be an asset on multiple types of projects. With nearly 20 years of experience with every aspect of the design and manufacturing process, he has consistently proven to be the go-to resource capable of delivering the highest quality installations in some of the most complex environments. He is a graduate of Pennsylvania School of Art and Design with a degree in Illustration. Keith specializes in developing comprehensive design drawings and high-level detailing that clearly translate design concept and vision to those that make it a reality. He is passionate about defining and preserving the design intent throughout the process in order to deliver the highest level of end-product that achieves that creative vision. Anne DePalma is a lab manager of 3M’s Commercial Solutions Division. Her group is responsible for product development and product maintenance of colored opaque and translucent films. Applications of these products include electric signage, car wraps, and architectural finishes. Anne’s role also includes leading the new product commercialization efforts across the division. Before assuming her current 3M position in 3M, she was a project manager on a variety of 3M capital equipment projects. She also served as a Design for Six Sigma (DFSS) Black Belt. 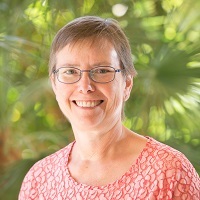 Anne was a member of the Energy Subcommittee of the International Sign Association (ISA) as the group worked to establish a luminance benchmark for the industry. She also participates on the Sign Research Foundation's Research Committee. 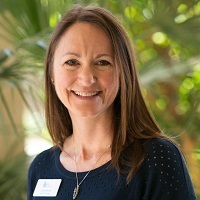 She earned a bachelor’s degree in mechanical engineering from the University of Nebraska – Lincoln and a master’s degree in mechanical engineering from Colorado State University. DePalma holds accreditations as a Project Management Professional from the Project Management Institute and a registered Professional Engineer in Missouri. Max Fulton focuses on driving positive change to unlock human potential. Mr. Fulton is currently the CEO of Gordon Sign Company. Prior to this, Max built his career helping troubled companies navigate restructuring or bankruptcy processes. By assuming interim operational roles within struggling companies, Max was instrumental in increasing value, which led to several successful emergences or acquisitions. He has visualized the future of companies and potential investments during critical stages of the business cycle and operated business from start-ups to 100 year old entities. Mr. Fulton started his career with PriceWaterhouseCoopers in consulting and later joined Alvarez & Marsal, where he developed his operational experience. Mr. Fulton has significant experience leading organizations and implementing change. He also has experience developing negotiation strategies, financial forecasts, performance improvement plans, operational restructuring, offering memorandums, simplification plans, strategic alternatives and business plans. He continually surrounds himself with successful people and enjoys leading and contributing to high-performing teams. Mr. Fulton received a bachelor’s degree in finance and marketing from the University of Denver (DU). He received the Pioneer Award while attending DU for his leadership and making a significant contribution to the campus community. He holds two patents (one pending). He has held the following designations: Certified Distressed Business Valuation (CDBV), Certified Turnaround Professional (CTP) and Certified Insolvency and Restructuring Advisor (CIRA). 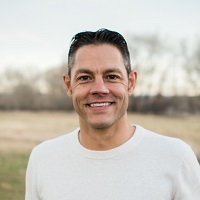 He serves on the Mountain Goat Kids board and has helped Sacred Heart House, Colorado Coalition for the Homeless, Denver Founder’s Network, Junior Achievement, Habitat for Humanity and Food Bank of the Rockies. Recently, Mr. Fulton has developed exercise and fitness products for kids (XtremeStax) primarily used in physical education classes. Mr. Fulton has also served as a RAD Ambassador since 2013, exemplifying how people can remain more active though RAD’s self-myofascial release products and educational platform. Matthew Shad is an accomplished and respected an urban planner, attorney and economic development practitioner in the public and not-for-profit sectors. His career has spanned more than 25 years with a variety of managerial responsibilities and successful project implementations in the Cincinnati, Dayton and Columbus, Ohio regions. Matt has described himself as an Implementer and not a Planner since his sophomore year of undergraduate studies. This perspective, combined with a wealth of practical first-hand community development experience has provided him many opportunities to bring divergent interests together and found creative solutions to turn strategies into successful implementations. Matt has served in regulatory, ombudsman, and business advocacy roles and understands the need to break down silos and learn to communicate effectively across disciplines and backgrounds. 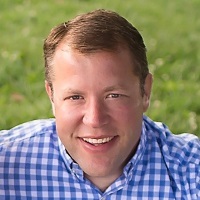 Additionally, Matt has had a passion for small business development and witnessed first-hand the powerful results that occur when assisting small businesses; while doing microlending and business coaching at his years with the Economic and Community Development Institute (ECDI) in Columbus. Most of his career has been public sector focused, in both regulatory, economic development and city management positions. Currently he is Zoning Administrator, a division manager in Buildings & Inspections for the City of Cincinnati. Matt was on boarded to deliver institutional reforms to the building permitting and zoning administration processes as well as deliver effective regulatory reform and customer service delivery enhancements. Mr. Shad earned a Bachelor’s Degree in Urban Planning from the University of Cincinnati and a Juris Doctorate from the University of Dayton School of Law. He is a certified urban planner and a licensed lawyer and real estate agent in Ohio. Board member for Clovernook Center for the Blind, and Board Member of the Sign Research Foundation. Judy Walton has worked for the Premium Outlet portfolio of Simon Property Group for almost twenty years. In her current role of Senior Tenant Sign Manager, Judy manages the tenant sign program for over seventy-five shopping centers. She is responsible for the creation and continued management of the tenant sign program, partnering with an array of professionals from architects and engineers, to designers, to local municipalities. Her efforts have created optimal results for both tenants and landlord alike. In 2013, Judy provided significant cost savings for the portfolio by implementing LED lighting specifications. In 2015, she successfully managed the design and installation of over seven hundred and fifty illuminated signs, during the opening of the portfolio's impressive six new development projects. Judy created advertising opportunities for tenants while generating a large amount of revenue for the landlord. Prior to Simon, Judy worked in the country club industry after majoring in the Hotel, Restaurant, and Travel Management program at California State Polytechnic Pomona University. She served as a member of the Club Manager’s Association of America for four years and was the Student Chapter’s Public Relations Chair and a member of the Lundberg Society. Judy resides in Southern California with her three children and a wonderful man, who, when not working, enjoy hiking, dancing, and traveling together. Before having children of her own, she volunteered as a Court Appointed Special Advocate for abused children in Orange County. 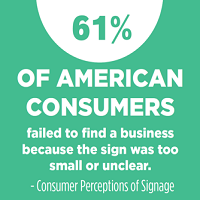 Judy has been a member of the International Sign Association (ISA) since 2013 and continues to contribute to the sign industry’s future with her extensive knowledge and experience. Sarah Wexler heads Global Store Design for Under Armour, overseeing store design for both the retail and wholesale channels. She is responsible for creating & maintaining global guidelines & standards. In this role, she led the effort to establish brand consistency and recognition globally through developing branding & signage principles and guidelines. These guides navigate the intricacies of signage regulations in the multitude of spaces that the brand is represented – on city streets, in shopping & outlet malls and in shop-in-shop environments – in order to provide clarity on best practices and effectiveness to best represent the Brand. 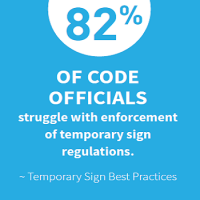 They also include a glossary of definitions and typical specification sheets to ensure both design intent and quality are maintained across the variety of sign types. 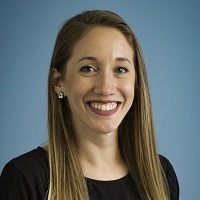 Sarah graduated from the University of Michigan’s Taubman College of Architecture and Urban Planning with a degree in Architecture, and is a LEED Accredited Professional. She spent the first decade of her career in architecture firms ranging in work from national retail roll-out programs to large scale commercial retail, lifestyle centers, hospitality, workplace & multi-family. Her experience also included regularly working with and presenting to zoning & planning boards throughout the East Coast with a focus on signage ordinances. 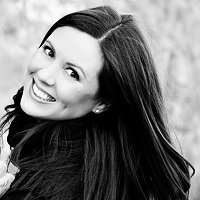 Sarah lives in Baltimore, Maryland with her husband, daughter, and 2 rescue dogs. Ms. Budev previously served as the Director of Strategic Initiatives for the International Sign Association (ISA). Her interest in academic research was launched where she partnered with the Sign Research Foundation to spearhead the 2013 joint publication of the Urban Wayfinding Planning and Implementation Manual. This research produced a series of webinars and workshops which educated over 2,000 planners and downtown managers on the concepts surrounding complex wayfinding systems and projects. Ms. Budev has published numerous articles and spoken around the world on the global sign industry, international commerce, integrated design and sustainability. 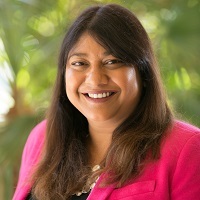 She received her Bachelor’s Degree in International Studies and Political Science from Miami University and has worked in business development and strategic operations for more than 15 years with top technology companies and nonprofits, such as Compaq Computers, Hewlett-Packard, Trilogy Software, and RosettaNet. She lives with her husband, son and rescue black lab in Washington DC. Emmalee Zaatar supports the Sign Research Foundation's many strategic initiatives while integrating the Foundation's mission into its everyday procedures. Mrs. Zaatar also represents the Foundation at its Planning for Sign Code Success workshops to promote the Foundation's research and illustrate how that research can be utilized most effectively. Emmalee has been with SRF since 2015.